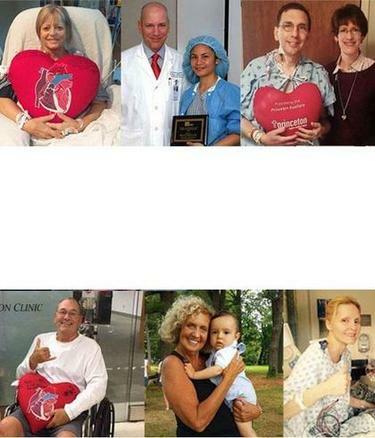 The story of HeartValveSurgery.com is extraordinary. This website fills an important gap for patients. The story of HeartValveSurgery.com is extraordinary. Adam’s website fills an important gap for patients. Connect with heart valve patients, family members & friends like you. Get educated about valve disease, treatment options & recovery. Find trusted specialists for valve repair and valve replacement. Get patient advice from Adam Pick, patient & website founder. Watch 100+ educational videos about heart valve therapy. Over 200 pages of information for patients with heart valve disease. Get Educated. Know What To Expect. Avoid Stress. Enhance Recovery. Welcome to the #1 doctor-recommended website for patients founded by Adam Pick, a heart valve patient. Get educated, avoid stress and learn what to expect with special resources and tools designed for patients and caregivers. Meet Patients In Our Community! Sign Up Now! (It's free!) Sign Up Now! Great Information About Bicuspid Aortic Valves & Aortic Aneurysms from Dr. ... Learn More. Nebraska Heart Institute Launches Heart Valve Microsite... Learn More. Click a logo to learn about these heart valve specialists.